This weekend i was lucky enough to have another cookery lesson with Itto. 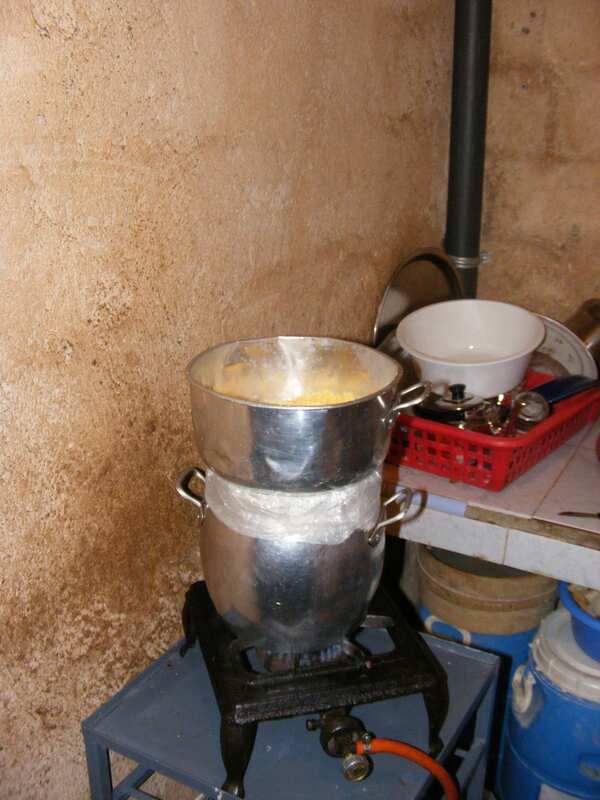 So far i have learned how to make a variety of Moroccan delicacies including numerous Tagines but finally i learned the secrets of my favorite dish, Itto’s Couscous. This dish is an amazing combination of light fluffy couscous and melt in the mouth root vegetables and chicken. 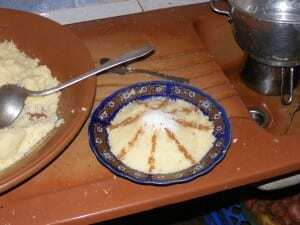 A must for any visitor to Morocco and if you are a very lucky visitor you will be invited to a local family for Friday couscous because home-made is always the best! 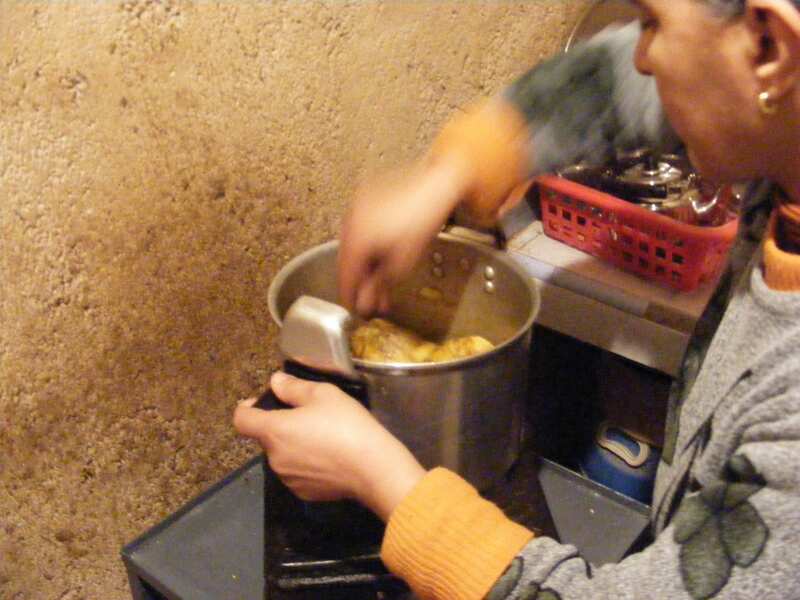 First we had to prepare the carrots, onion, pumpkin, turnip, cabbage, tomato, chickpeas and chicken to begin cooking with Itto’s secret blend of herbs and spices. If only Cornell Sanders knew this recipe he would be a millionaire! These were then all left to cook on the stove and our attention turned to the actual couscous. The trick is to steam the couscous several times and after each steaming carefully separate all the individual grains with oil, water and tentative fingertips. 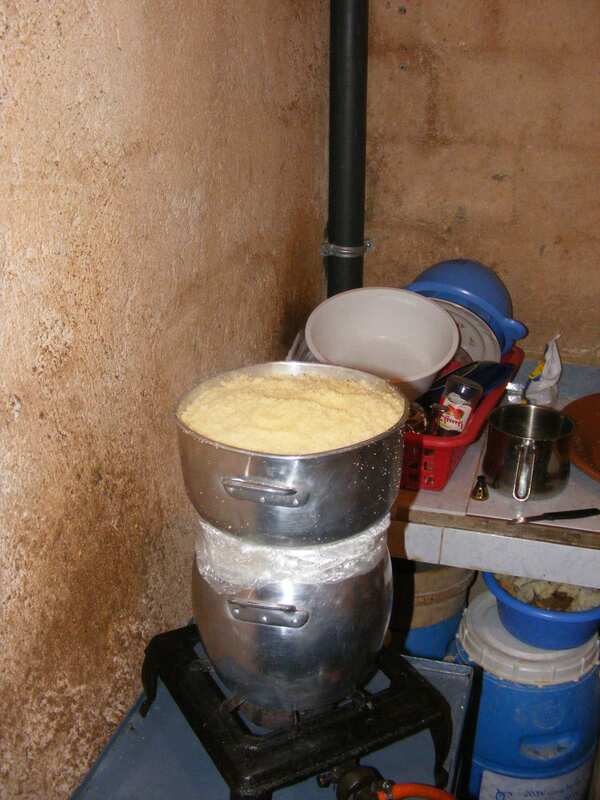 After each steaming the couscous grows in volume and one little kilo is enough to feed an monstrous 10-12 famished guests. You can see in the above pictures the volume of couscous increase well over double in size. Itto also created a sizable vegetarian option combining some sugar and butter with the couscous and decorating marvelously with some cinnamon. A very simple yet tasty option for those with out a penchant for meat. And above is the fully assembled dish in all its glory. Ready to be devoured. It took a total of 3 hours cooking time but only minutes until the base of the dish was fully visible. 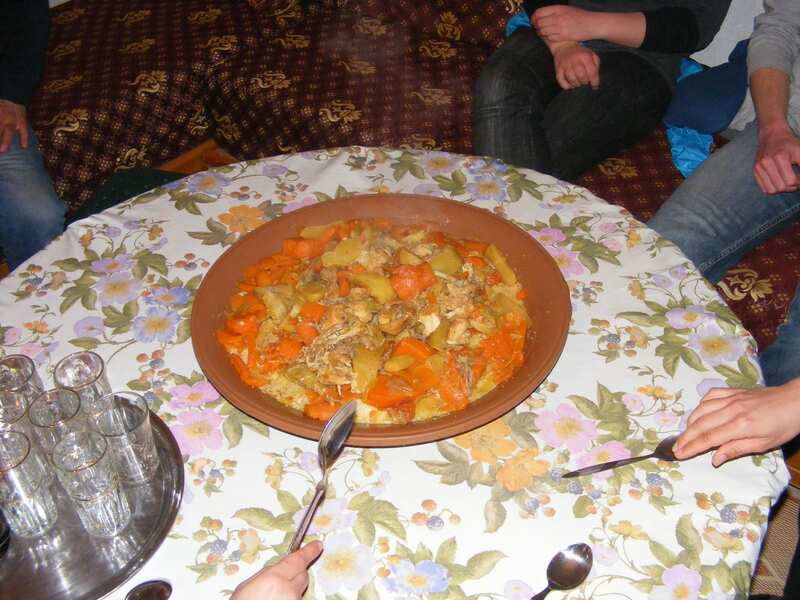 Many dishes in Moroccan culture are eaten communally with everyone eating from one big dish or tagine in the middle of the table. This makes for a very fun and sociable meal time. The hospitality and kindness of the Moroccan culture is never more apparent then when they have guests for dinner. You will never go home hungry but always wanting more. A taste straight out of paradise.